Moe was named Men’s Golf National Coach of the Year in 2004. Gustavus Adolphus College women’s golf coach Scott Moe has been named the Division III National Coach of the Year by the National Golf Coaches Association. Moe guided the Gusties to a sixth place finish at the NCAA Championships in Waverly, Iowa. This is the second time that he has been honored as the National Coach of the Year, as he was named the men’s golf National Coach of the Year in 2004. Moe is believed to be the first collegiate golf coach to be named National Coach of the Year both as a men’s coach and a women’s coach. Moe led the Gustavus women’s golf team to their fifth appearance in six years at the NCAA tournament. Since taking over at the helm in Spring 2004, the Gusties finished sixth in 2004, second in 2006, and third in 2007. This season, Moe’s team produced two NGCA All-America selections (Rachel Roberg and Kali Griggs), three NCGA Midwest All-Region selections (Roberg, Griggs, and Kosak), four all-conference honorees (Roberg, Griggs, Kimbra Kosak, and Katie Schenfeld), and MIAC Senior Player of the Year (Roberg). In his fifth year as head coach of the Gustavus women’s golf program, Moe has been named Midwest Region Coach of the Year and MIAC Coach of the Year once. Five of his golfers have earned All-America honors, while eight golfers have earned All-Region status. He has directed his squad to four consecutive second place finishes at the MIAC Championships. 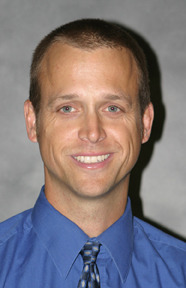 A 1995 graduate of Gustavus, Moe won three MIAC individual titles and played on four conference championship teams. He earned All-America honors in 1993 and 1995 and was named a Golf Coaches Association of America All-American Scholar in 1995.